SteamOS could be making its way into mobile gaming, according to a new teaser trailer for the SteamBoy console. Update: The Escapist has received additional info from the SteamBoy Machine team. 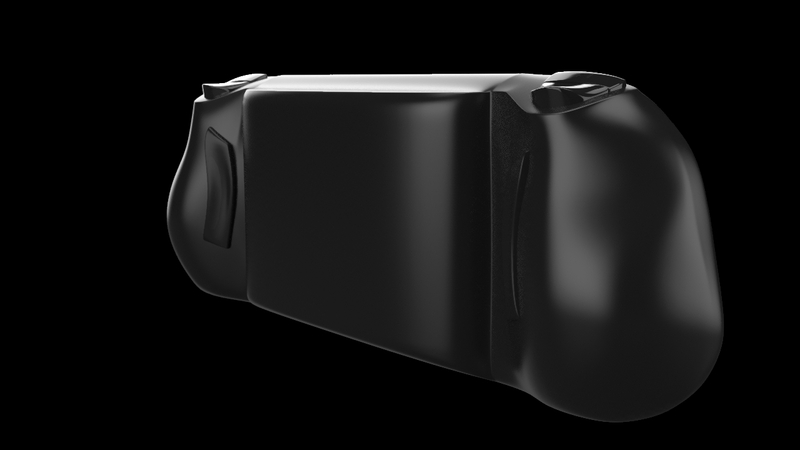 While the exact hardware itself is still under wraps, the SteamBoy design should feature a Quad-Core CPU, 4GB RAM, a 32GB built-in memory card, and a 5" 16:9 touchscreen. "SteamBoy won't be as powerful as other announced Steam Machines in the same way [the] Nintendo 3DS or PS Vita performance is not comparable to Wii U or PlayStation 4," a representative wrote via email. "However, it will be possible to play the majority of current games in Steam." The standard edition SteamBoy is slated for a 2015 release, with support for WiFi and 3G networks. We will provide more information as it becomes available. 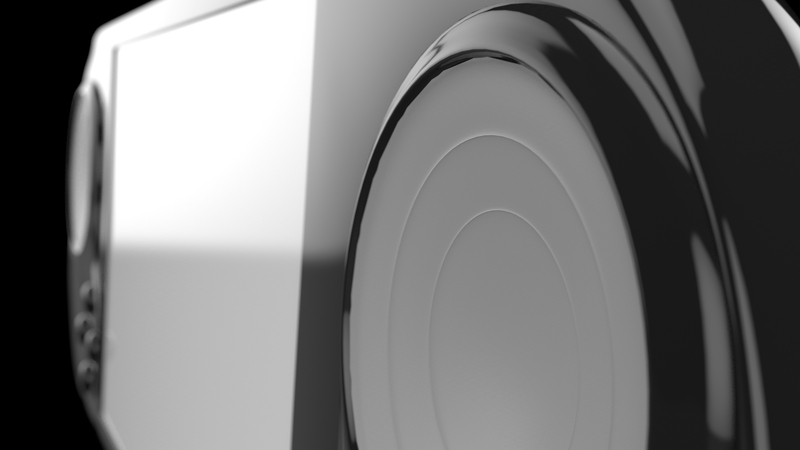 Original Story:Steam Machines are Valve's next major project for PC gaming, and a lot of people are very excited to see how it will turn out. If successful, Steam games will have a solid foothold within living room gaming and traditional mouse-and-keyboard play. The only market Valve wouldn't be attached to at that point is handheld gaming, but at least one manufacturer is now hoping to jump-start that process. 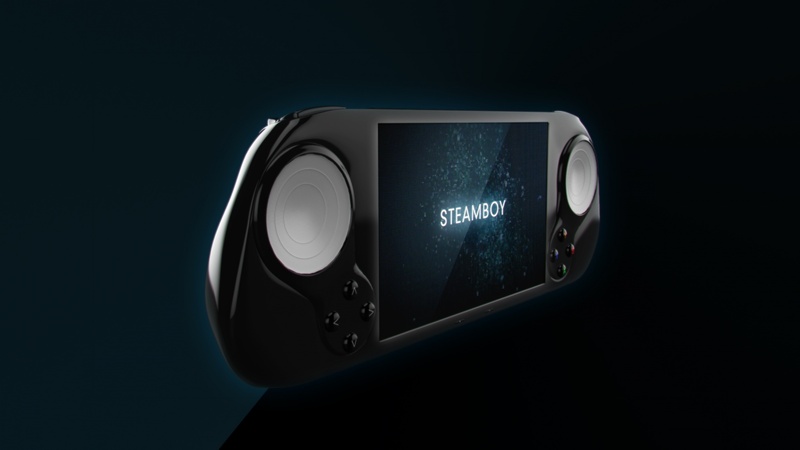 On the last day of E3, the SteamBoy Machine team announced its new handheld console that would let players enjoy Steam titles on the go, presumably supporting a variation of SteamOS for living rooms. 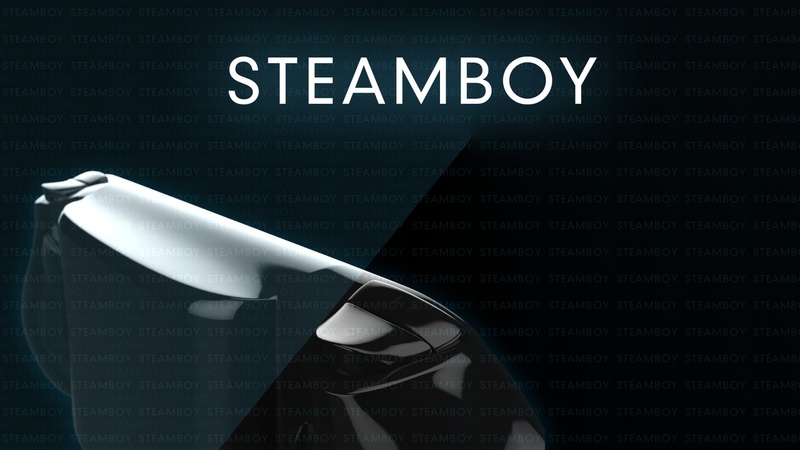 "SteamBoy is the first device that allows to play Steam games on the go," SteamBoy Machine's press release reads, "you will keep playing your favorite games at the bus, the office, the school or the doctor's waiting room." The pictured SteamBoy looks like a combination of the Steam Controller and the PlayStation Vita, with two touchpads, 8 action buttons, 4 triggers, and two additional buttons to the rear. While that should certainly be as functional as a Steam Machine, we still aren't aware what the system specs will be. That's pretty important for any attempt at adapting PC gaming to mobile play, since the system requirements of individual PC games can vary wildly compared to traditional consoles. According to the SteamBoy Machine team the device will balance performance and cost, and support the majority of current Steam games. I was already excited for the concept of Steam Machines, but the ability to take my Steam library with me wherever I go is an incredibly appealing notion. Of course, that depends on whether the hardware can support it, which we'll hopefully find out in the coming months. So far no release date has been announced.